BRACKNELL, UK. 14th FEBRUARY 2018 – Panasonic today announced that StayLinked Corporation, the leading Terminal Emulation modernisation software provider, has joined its Independent Software Vendor programme to offer next generation rugged mobile computing solutions to the warehouse, manufacturing, logistics and retail industries. 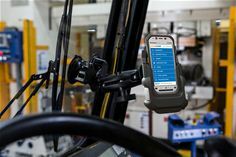 Panasonic and StayLinked will now be able to offer mobile workers in these sectors the most ergonomically designed and toughest mobile computing devices from the Panasonic Toughbook notebook, tablet and handheld range equipped with modernised, touchscreen-optimised Terminal Emulation applications. StayLinked’s SmartTE software provides a cost-effective way to take advantage of today’s modern touchscreen devices by transforming traditional Terminal Emulation “green screen” application screens into easy-to-use, graphical screens with no changes to the underlying enterprise application. With SmartTE, customers get the best of both worlds with no-risk application modernisation. They continue to benefit from the speed, reliability, and security of Terminal Emulation while increasing productivity and usability with the addition of an intuitive, modern user experience. In addition, SmartTE means existing investment in host applications and servers is protected with the introduction of more modern mobile devices, and existing apps can be run almost immediately on new operating systems, which removes the need for expensive software development and long implementation cycles, saving money in the long-run. For further information on the Panasonic Toughbook range of mobile computing solutions visit: www.toughbook.eu.